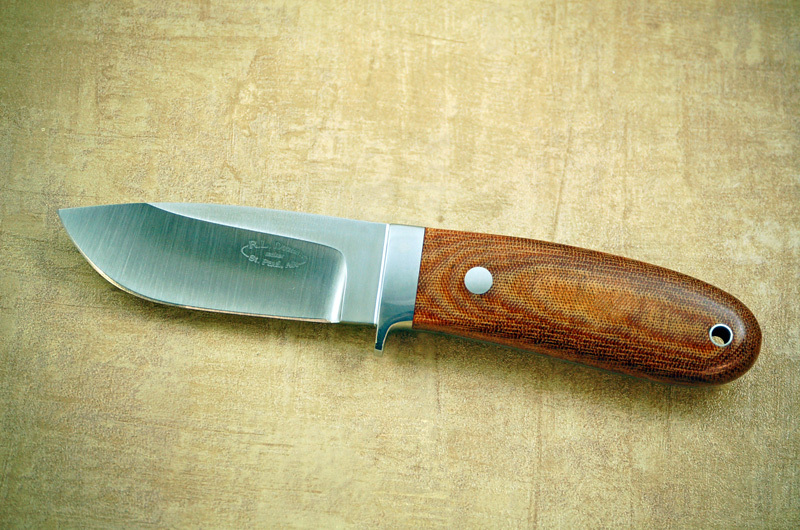 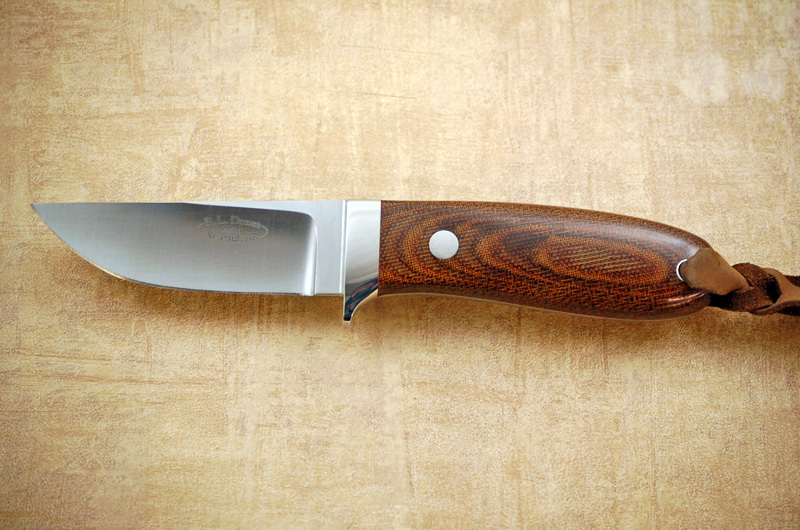 Knife pictured features our polished Natural Canvas Micarta scales. 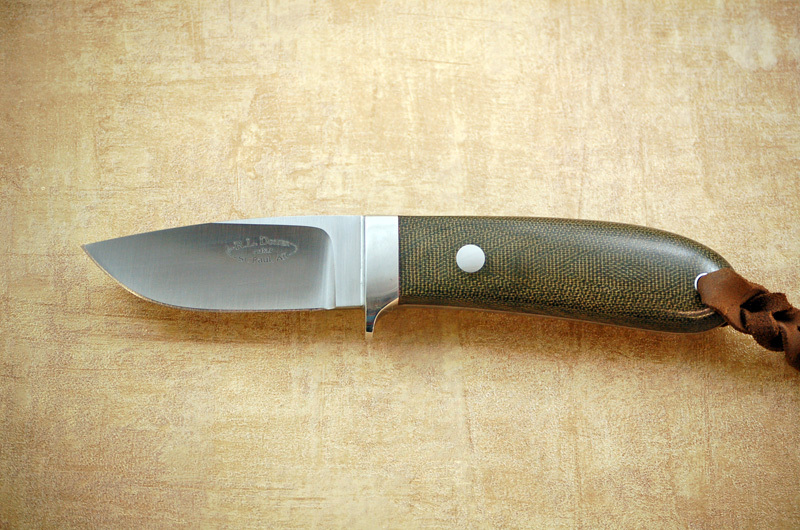 Blade Length - 3 1/8"
Handle Length - 4 1/8"
Knife pictured features our polished Green Canvas Micarta scales. 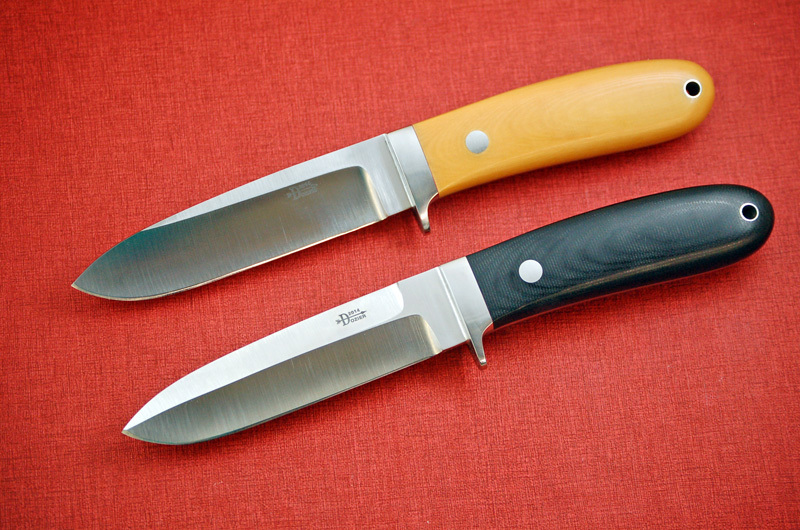 Blade Length - 3 3/4"
Blade Length - 4 3/4"
Handle Length - 4 1/2"
The top knife features our Ancient Ivory Micarta scales and the bottom knife features our Black Micarta scales.